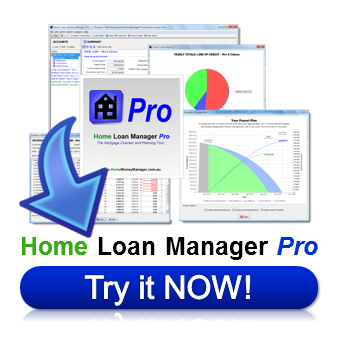 Home Loan Checker Software - Download Mortgage Checker Software to audit your home loan and mortgage for lender mistakes. Find out today if your bank is overcharging you. If you have a mortgage or home loan then you are at risk of being overcharged thousands in incorrect interest charges and fees. 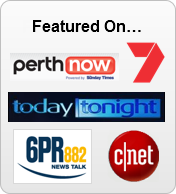 Home Loan Checker Software (also known as Mortgage Checker Software) has become the popular way to check for lender mistakes, however a quick search on Google for "Mortgage Checker Software" returns over 5,000,000 matches. So where do you start and what do you look for? This article covers what mortgage checker software can do for you, why you need it, and how to choose the correct software to audit your mortgage. Is your mortgage one of the thousands being overcharged interest EVERY DAY? Get the facts on Home Loan Manager Pro, the only Home Loan Checker Software that can check your home loan statements for interest errors in UNDER 5 MINUTES! 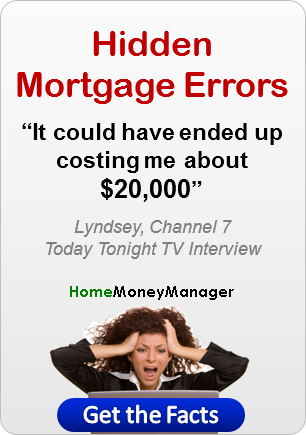 Every Home Loan and Mortgage is at risk of being overcharged. 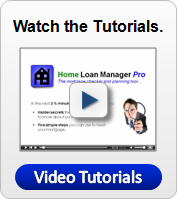 Home Loan Checker Software is an affordable way to audit your own mortgage. Nice-to-have features include summary reports, what-if analysis, and import/export functionality. Make sure you can trial the software (for free) before you buy it. If there is a money back guarantee, make sure it is unconditional and you don't have to wait months or years before you can get your money back. Don't pay more than US$150. 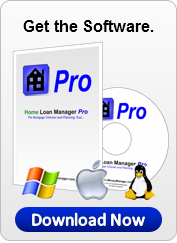 There are great home loan checker software packages out there for less than US$150. If you have a home loan or mortgage then you are at risk of being overcharged by your bank or lender. The reasons for being overcharged range from a simple human or computer error through to deliberate fraud. The most common examples of errors include being charged interest based on an incorrect interest rate, deposits and withdrawals being recorded on wrong dates, offset account balances not being calculated correctly and errors in the lender's computer system. 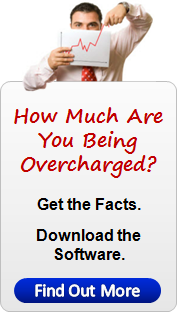 The amount you are overcharged can range from a few cents to tens of thousands of dollars, and most of the time you will not even know it has happened. Part of the problem is the average home loan and mortgage lasts twenty to thirty years, which is a long time to expect any process to run smoothly and without errors. In addition, banks and lenders have to constantly deal with changes in personnel, computer systems and financial products to meet the demands of today's homeowners. Its no surprise so many loans end up with errors, but what can you do to protect yourself? Home loan checker software is one of the popular solutions for individuals who want take matters into their own hands and check their loan interest calculations. After you have installed the software on your home computer, you will need to enter all your loan account details, statements, transactions and interest rates. The software allows you to maintain your own record of your home loan, and it is designed to check the lender's calculations and instantly highlight any errors in your balances and interest rate charges. In the event of the error, the home loan checker software will estimate of the refund you are due. The more advanced home loan checker software packages will also allow you to store and retrieve all your loan information (so you don't have to re-type it all in when you want to do future checks), track your home loan repayments, provide you with reports and summary information, and allow you to do what-if planning (for example, if interest rates change, how much will my repayments change by). Home loan checker software packages come in all shapes and sizes, so we will start with the features considered essential. First up you will need to be able to enter your home loan information. For this, the home loan checker software will need to let you enter the home loan account information (loan term, opening balance, start date, etc) as well as the statements, transactions and interest rate changes. It is a huge advantage if the software allows you to save your home loan information, allowing you to reload it at a future date. You don't want to be faced with typing everything in each time you want to perform an audit. Once you have entered your home loan information, as a minimum the home loan checker software should audit the balances and interest charges. The balance check is important, as most interest calculations work off a daily rolling balance. Therefore if the bank has this wrong, it is unlikely the interest calculations will be correct. The software should provide a simple report that shows a running total of your balances (calculated by the software) and a comparison to the balance provided by the lender. With the interest checker, the most complete approach is to have a report that details each transaction where the lender charged you interest, matched up to an interest estimate from the software for the same period, and the difference between the two amounts. As each lender charges interest at different intervals, and on different days of the month, it is important the software works off the interest transactions (and doesn't just provide a total amount of interest for a month). For example, if your lender charges you interest on your home loan on the 10th of each month, then you need to know the total interest charged from the 10th of one month to the 9th of the next month (and not from the start of the month to the end of the month). If any errors are found in the interest calculations then it is very useful if the home loan checker software has a refund calculator report. This should highlight the amount of each error, and calculate how much it has cost you in additional interest. One last essential feature is a report that provides a breakdown of the daily balances and daily interest charges for the home loan. This can be extremely useful when investigating errors, as it provides you with all the numbers that go into the interest calculations. The features discussed in the previous section are the basics you will need to be able to audit and check your home loan for errors. However when you take into account how much your time is worth to you, you may consider some of these non-essential features important. One way to speed up the home loan checking process is to be able to import all your information from a spreadsheet or file. For example, if you have been recording your home loan transactions in a spreadsheet for the past few years, it will save you a lot of time if you can transfer them straight into the home loan checker software without having to type them all in again. Alternatively, if your lender provides you with your mortgage statements and transactions in electronic format (for example, you can access to them via online Internet banking), then it is very handy to be able to load these statements automatically into the home loan checker software. Another time saver is being able to export all your home loan information (to a text file, CSV file, etc) as this will allow you to use the information in another software package, or share it with your accountant or other service provider. Being able to export your information also provides you with the comfort of knowing you can get all your information out of the home loan checker software, if you wish to stop using it or change to a different product. Once you have gone to the trouble of loading all your loan information into the home loan checker software, and performed your audit, it is nice to have a range of reports that can provide you with different views of your home loan. Statement comparisons, yearly comparisons and yearly totals of interest paid, fees charged and deposits made will help highlight the true cost of your home loan. From a planning point of view, being able to check the impact of an interest rate change will have on your monthly repayments, or seeing the thousands you can save if you pay off your home loan sooner can be very beneficial over the life of your home loan. These days you can download and try most software before you purchase it. This is especially important with home loan checker software, due to the number of different lenders and types of mortgages available. The only safe way to know if the home loan checker software will work with your home loan or mortgage, is to obtain a free trial, install it and take it for a test drive. The best type of free trial is one you can download without having to register your name, email address or any personal details. If you have to provide too much personal information just to see the product, you may find yourself on the receiving end of a barrage of marketing material and spam. Worse still, your email address may be farmed and sold along with all your personal information. While a time limit on a free trial is perfectly reasonable, I get a little suspicious when the software is crippled and doesn't let you enter all your mortgage loan details. For example, it may not let you enter your interest rates, or it may limit the number of transactions you can enter. If you can't see it working with all your mortgage information, then you are not really performing a full test. Also be careful of software where there is no free trial and you have to pay for it in full before you can install it. You may find you end up with a product that does not work with your home loan, or is not quite as good as the glossy web page described it. As a rule you should purchase software in the same way you would purchase a car. Shop around, test drive a few and find one that suits your needs. If someone will not let you take a test drive, move on to the next one as there are plenty to choose from. Just as important as the free trial is a money back guarantee. The free trial lets you see the home loan checker software in action and have a play with it, while the money back guarantee should cover you once you have purchase the software and for some reason you wish to return it. Money back guarantees usually range from 15 to 60 days. Make sure the money back guarantee is unconditional, and you don't have to wait a certain amount of time before you can apply for a refund. For example, a software vendor promising a full refund if you are not happy after six months, is actually saying "we will keep your money for six months". This means if after the first week you decide the software is not what you wanted, or it does not work with your home loan, you will have to wait six months before you will see your money. Home Loan Checker Software - How Much Should it Cost? A good home loan interest checker software package should cost you less than US$150. There are some good products on the market that not only help you check your balances and interest calculations, but also help you track, manage and report on your mortgage. If the home loan checker software you choose has a small one-off fee, then it is a small price to pay when you spread the cost over the next 20 to 30 years of your mortgage. Home Loan Checker Software - What Next? This article has provided an overview of what home loan checker software can do and the role it can play with your home loan or mortgage. The next step is to download a free trial, audit your mortgage and to make sure your lender has not been overcharging you.